Our stunning ensuite shepherd's hut enjoys a quiet location in an pretty meadow just across the lane from the farmhouse and B&B. Our luxury hand built oak shepherd's hut is the ultimate glamping experience, being fully insulated and fitted with a little log burning stove and an ensuite bathroom with shower, toilet and basin. 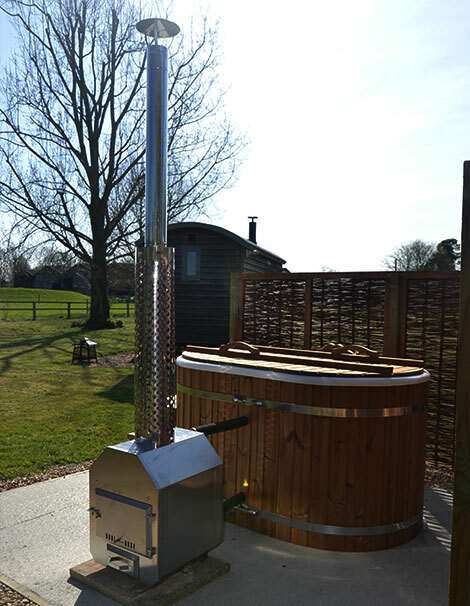 Brand new for 2019, a heavenly wood-fired hot tub. Whether you are looking for a getaway from it all break or an active holiday sightseeing, walking or cycling our shepherd's hut is in the perfect position for all of these. Open from March to October. A fixed double bed plus table and chairs both inside and out, a kitchenette and ensuite bathroom. The kitchenette has 2 gas cooking rings, fridge and sink plus a microwave and toaster. Outside you will find a BBQ, perfect for sunny day cooking, and an additional fire pit, which will continue to keep you warm as the summer evenings turn cooler and you gaze at the stars until the early hours (there is very little light pollution as the village does not have street lighting). There are several electrical points in the hut, should you wish to bring some home comforts with you. Note there is no TV or music player. Flexible arrival days depending on overall availability. Arrival time between 5.00pm – 7.00pm or outside these times by prior arrangement. Very sorry, no dogs or pets due to the close proximity of the farm and conservation areas. The hut is only suitable for children aged 12 and over. 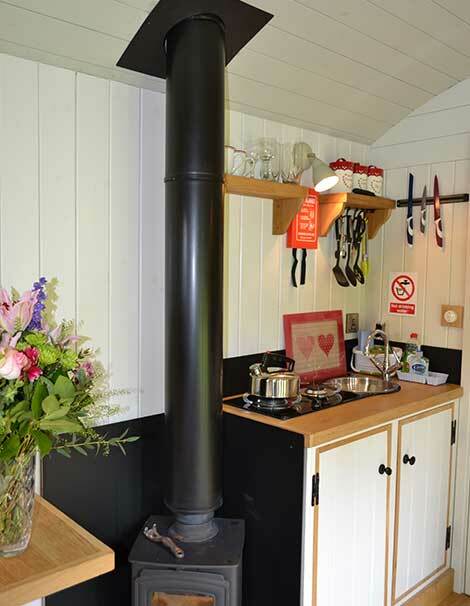 Occupying a secluded spot, screened for privacy you'll find the very latest addition to our Shepherd's Hut experience. Rest awhile in soothing warm waters and take in the tranquility of your surroundings – heavenly during the day or at night under starlit skies. We will show you how to light the log burner when you arrive. The tub takes approximately 2 hours to reach optimum temperature. We will provide a bag of logs. If you need more we can supply extra for a small charge. Don't forget your swimwear and towels! 2 nights or more - we will also provide a cake & pop a bottle of wine in the fridge. BBQ meat packs - our farming neighbours Kelmscott Country Pork can supply fabulous BBQ packs. 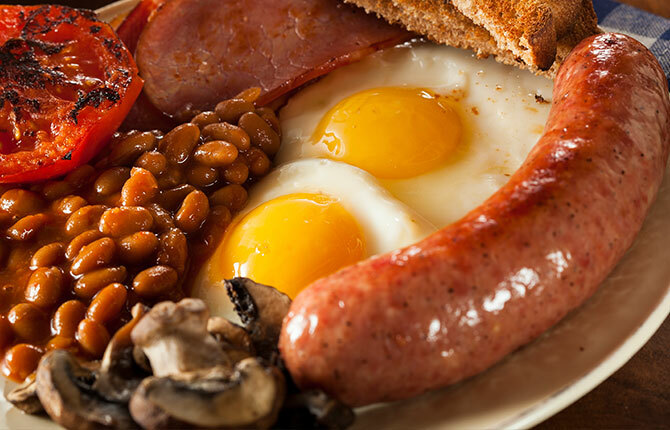 If you let us know what you would like, we can have it delivered straight to the hut. We are fortunate to have some excellent independent village stores and supermarkets within a few miles of Kelmscott. While there isn't a shop in the village, Blake's Kitchen in Clanfield Post Office, just 3 miles away, is a great deli, bakery and source of general supplies as well as being a post office. Also 3 miles away is Lechlade, which has a number of shops of cafês. A little further away in Faringdon (6 miles south east) there is a Waitrose, Tesco & Aldi while in Carterton (7 miles north east) you can find Asda and Aldi plus independent shops. We will happily point in the right direction once here.